In a little over a week a large field beside a quiet country lane just outside the village of Slawston will be transformed into a bustling showground. Cattle, sheep, goats and horses will emerge from a stream of trailers, grooming kits will be put to use, and nothing will be left un-polished as the annual Blaston Show gets underway. Competition is always hot at Blaston, where an extensive display of livestock will be on show. 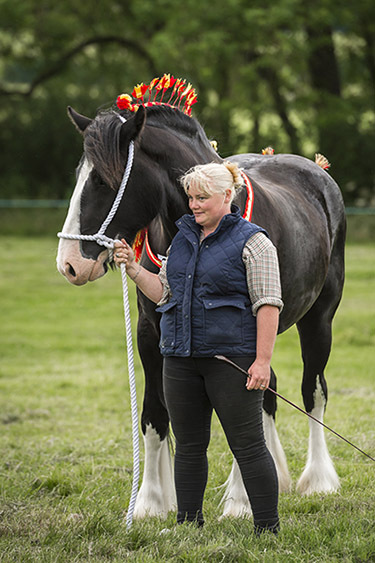 Horses and ponies, from the tiniest Shetland to the mighty Shire, will come in front of the judges, as will dogs of all shapes and sizes, both Kennel Club registered and Heinz 57 varieties. Equally highly polished will be the numerous classic cars and tractors, contrasting with the huge modern ‘cutting edge’ farm machinery also on display. The range of vehicles is mind-boggling. It’s a great family day out, offering plenty of opportunities to join in, from tug of war and bale rolling to terrier racing. With hound parades and a raft of trade stands to shop at, food outlets selling everything from burgers to beer, pizza to pies, plus a choice of fresh ice cream vans, young and old are guaranteed a good time. Entrance to the Show costs £15 per car and gates open at 8am. A significant proportion of money raised on the day will be given to local charities with Rainbows, a hospice for life-limited children and young people, and VASL, which provides a range of services to those in need, this year’s principal beneficiaries.